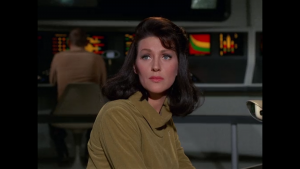 Majel Barrett, eventually Mrs. Roddenberry, went on to play Nurse Chapel, and later Lwaxana Troi, but “Number One” was never seen again. One of the most famous examples by far is that of the original Star Trek. When the network ordered a pilot of Star Trek to be made, it looked nothing like the show we’d come to know. 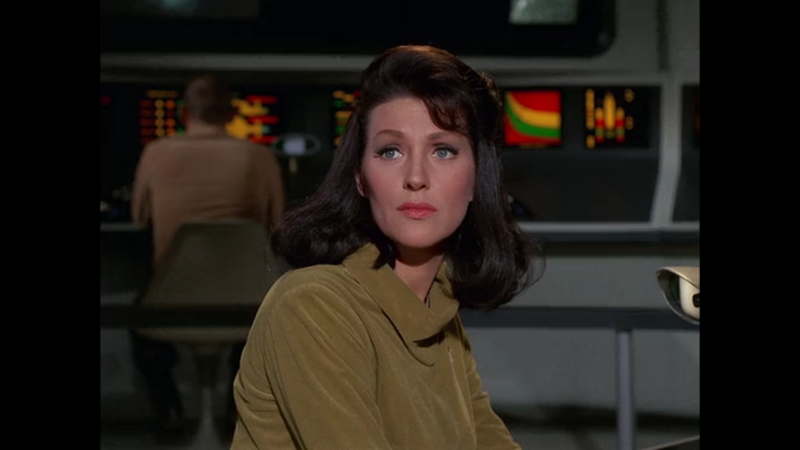 Following the adventures of Captain Christopher Pike aboard the Enterprise, the cast in this first pilot is completely different–the only character who continues on is Spock, and Leonard Nimoy and Majel Barrett are the only actors who stuck around. 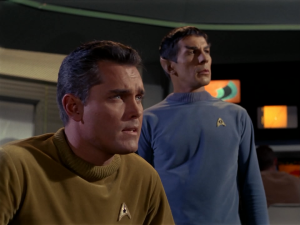 Pike, played by Jeffrey Hunter, was a very different sort of captain than Kirk would be–Pike is older, and questioning his place in the world, making him more like the movie-era Kirk. The show’s tone is more in line with that of Forbidden Planet, a slow and cerebral experience that hinges more on drama than action and adventure. The network still liked the concept, but not the execution, so they ordered a second pilot. This was an unprecedented move, and to this day incredibly rare. 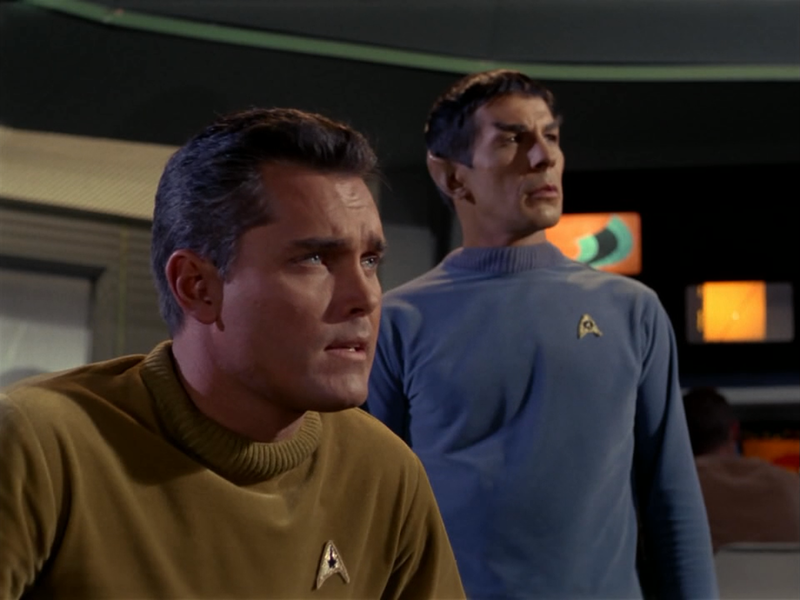 Jeffrey Hunter took the opportunity to jump ship, and everything else was recast to fit the new adventure tone (except Spock). While footage from “The Cage” was eventually used in the final show’s only two-parter, the completed version stands as a very rough prototype of what we would eventually love. Time Warp factors, anyone? The voices are already in place, but uh… not much else. Rick and Morty is about the foul-mouthed old scientist Rick and his young grandson, who accompanies him (although not always willingly) on adventures through space and alternate dimensions, doing crazy sci-fi things and being very metafictional about it. It’s great, although a bit gross at times, so if you haven’t checked it out yet, definitely do so. However, the gross humor in the actual show is absolutely nothing in comparison to its first incarnation. 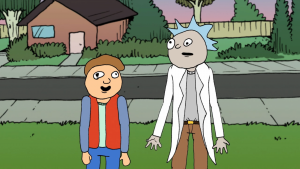 Originally created for the monthly film festival Channel 101, Doc and Mharti was Justin Roiland’s take on a Back to the Future parody, as evidenced by the names. While Roiland admits his early attempt was very much relying on shock value, with the explicit intent “to troll the big studios,” as the idea took hold in his mind it became more unique and interesting. 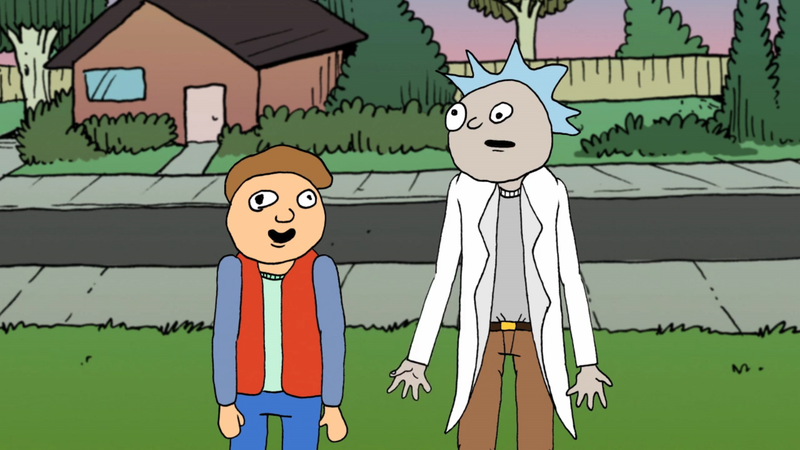 It didn’t really become Rick and Morty as we know it until Dan Harmon worked with him to get the show made for Adult Swim, where aspects like Rick being Morty’s grandfather and the existence of the rest of the family started to take shape. This is part of why the first episode/pilot of Rick and Morty feels so different from the rest of the show–Rick was still barely developed beyond the “drunken parody of Doc Brown” stage, to the point where he hardly even seems competent. His backstory and anarchist tendencies are almost nonexistent at this point. 2. Item 47—Agents of S.H.I.E.L.D. Back during phase one of the Marvel Cinematic Universe, Marvel experimented with a few different ways to make DVD sales more appealing, and one of these ways was the “Marvel One-Shot.” One-Shots were short films, set in the MCU alongside the main films, detailing the off-screen exploits of small characters. The first few are very small; “The Consultant” is basically just Coulson and Sitwell discussing Tony Stark’s appearance in The Incredible Hulk, for example. It wasn’t until The Avengers that we got a significant short in the form of Item 47. 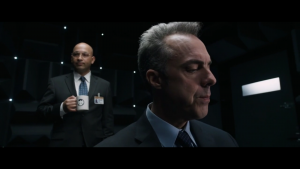 Item 47 follows SHIELD Agents Blake and Sitwell as they attempt to recover a piece of Chitauri technology, leftover from the invasion in The Avengers, from a pair of opportunists trying to make a buck off it. You can already see the pieces of the show in there–you could almost use the same phrase to describe certain early episodes of Agents of SHIELD, which ran with the concept of recovered alien tech in the form of “0-8-4″s. The CEO of Disney, Bob Iger, watched the short and realized the potential the concept held as a series, and thus Agents of SHIELD was born (with the already popular Clark Gregg’s Coulson to star). Blake and Sitwell even appear in the series a few times! Steven Universe may be a kid’s show, but it’s honestly amazing. There’s something for everyone in there, whether you might think so or not. I’ve become a big fan over the past year. The show deals with the eponymous Steven, who’s a half-human, half-“gem” being raised by three of his mother’s gem compatriots as part of learning to meet his “magical destiny.” The gems are non-biological beings, and often have trouble relating to Steven’s human half, but they stand in defense of the Earth even if they don’t always understand what it is they’re protecting. It might not sound that sci-fi at first, but believe me, it takes a hard left turn into SF territory as the world of the show is developed further. While the modern incarnation of Steven Universe is extremely popular, it too started as a short, unaired and uploaded to youtube. 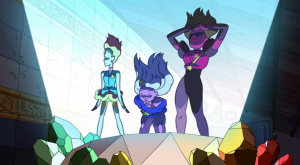 The animation style is pretty different, but the most outstanding changes have to do with the 3 gems, who rather than playing a motherly role, are often more akin to annoyed big sisters (even insulting him). Pearl in particular looks much more androgynous than she does in the show, with a more masculine build, although everyone’s designs are not quite there yet. An hourglass similar to the one from “Steven and the Stevens” is the catalyst for the plot. Steven Universe was definitely already in development for Cartoon Network at the time, but this short gives us a very interesting glimpse of an alternate version of the show. Any other shows you can think of that had early incarnations that are barely recognizable? You can let me know in the comments, or on Twitter @RetroPhaseShift. Nice mix of animated and live action this time around. Next week, I have another special promo for Eidolon running, but for now, stay tuned. i have not seen either of the animated examples (not even the real versions of those shows). ill have to check them out. Doh! I thought I already fixed that… Oh well, got it now, thanks. As for the animated shows, they couldn’t be farther apart on the scale, but they’re both very good. A lot of the cool stuff in Rick and Morty hinges on Rick’s past, which doesn’t start to get introduced until the back half of season 1. We’re currently awaiting season 3 to be released right now, so there aren’t too many episodes to catch up on yet. Should be easy. It’s kind of like Futurama meets Doctor Who, if the Doctor was completely amoral. Steven Universe is slow to start also, with most of the early episodes more comedic than sci-fi. But one of the cool things about it is that Steven’s character really does grow up as the show progresses, to the point that in early season 4 (where we are now) he’s about as mature and capable as his guardians. Things get more sci-fi-ish when a few visitors show up, and you’ll know it when you see it. SU is also only 15 minute episodes, so while there are a lot already, it won’t be too difficult to catch up, either. I wouldn’t recommend skipping ahead, though, as much of the early stuff that was originally just a joke comes back to be very important later.